Insulation Pros of Colorado is proud to be your trusted provider of insulation installations in Castle Rock, Denver, and the nearby areas. Keep reading below to learn more about our services, and get in touch with us to request a free quote for your home or business! 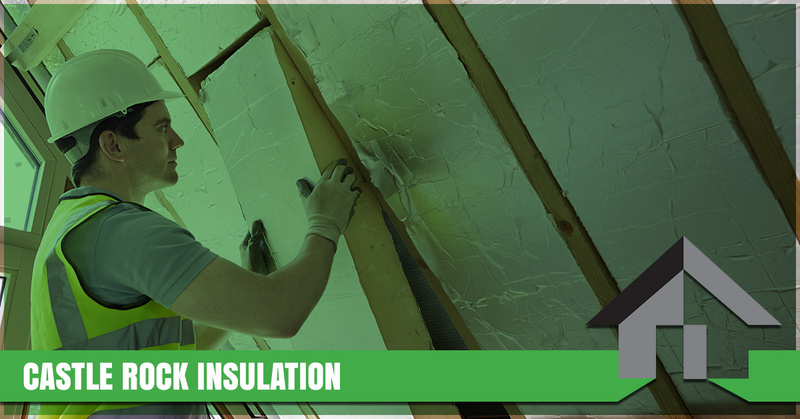 Our insulation contractors are dedicated to providing you with exceptional service, no matter how small or large the project may be. We provide all of our residential insulation clients with free, no-obligation estimates, so please reach out to us at 720-340-8733 or send us an email through our website to get started. Your company’s insulation is very similar to your HVAC system — you depend on it daily, but you, your customers, and your employees will only notice it when it’s not working properly. Whether your customers find themselves uncomfortably warm or cool throughout the year, or your utility bills are consistently higher than they used to be, investing in an insulation installation could be the key to solving the problem. Our insulation contractors can help you with anything from soundproofing your entire office to replacing the insulation throughout the building, so give us a call to request a commercial insulation quote! Insulation Pros of Colorado is proud to be the Top Rated Local® insulation company in Castle Rock. We have more than 30 years of experience in the insulation industry, and you won’t find a better deal on insulation installations anywhere else in the area. We offer Owens Corning insulation for 10 percent less than standard competitors, allowing you to invest in your home or business without exceeding your budget. We’ll provide you with a free quote before beginning any work, and we can even audit your home or business to identify any areas where you may be losing energy.